The plant pot trays are super sturdy, and won't crack like the clear plastic ones. Also are good solution for 3.35 inch owl pot with hole, which can collect excess water and soil spillage. 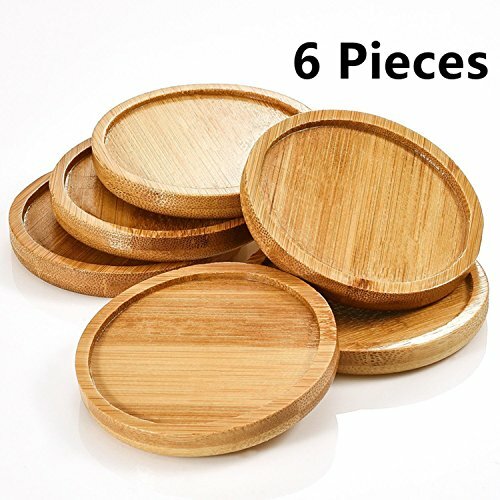 These plant saucers help keep plants moist longer and maintain a cleaner garden, also suit for most of other 3.35 inch plant pot or flower pot. SATISFACTION - We think highly of our customer service, 30 days return & refund warranty is guaranteed. You can get the full refund quickly or free replacement in case of defection, accidental and non-satisfaction. If you have any questions about this product by Autrix, contact us by completing and submitting the form below. If you are looking for a specif part number, please include it with your message.